The April/May 2019 issue is on sale now! 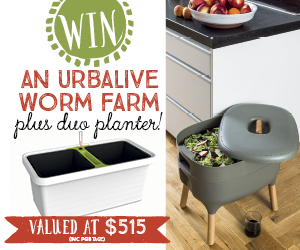 Our new issue is filled with ideas for autumn! 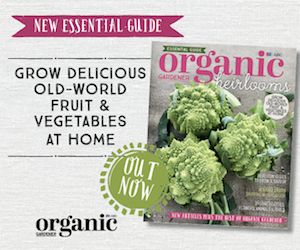 The latest issue of Organic Gardener is filled with great ideas, from divine apricots and slow mushrooming to late-season garlic and indoor plants! Our simple planting guides will help you find out what plants grow best in your region and when to plant them. From 900-year-old carrots, to apples and oranges that arrived with the First Fleet, we show you just how easy it is to grow your own heirloom fruit and vegies. Plus, we share the delights of bygone beauties: flowers, rare chooks and pigs, and hand-forged tools. Available from 5 July 2018. 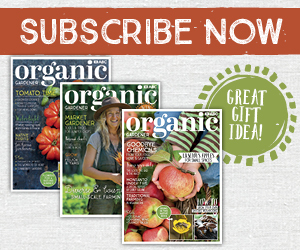 Subscribe to the digital edition of Organic Gardener magazine NOW. Available from Zinio, Google Play and the Apple App Store. Details and download links can be found here. Phil Dudman explains how to prune citrus trees, in his HMAA Award-winning article. It's time we turned the spotlight back onto the humble turnip, writes Justin Russell. your region and when to plant them. Patch from Scratch Pictures, plans and more from the Gordon’s makeover. Check out the chook palace in the Patch from Scratch garden and see Alex and Costa as they release the chooks! in this episode of ABC TV Gardening Australia. How safe is your soil? Professor Mark Taylor from Macquarie University's VegeSafe program tests the soil in the Patch from Scratch garden in this epidode of ABC TV Gardening Australia. How could we resist this family of would-be gardeners as winners in the Patch from Scratch competition? Learn about different garlic varieties to grow now with our horticultural editor and garlic guru, Penny Woodward in this video from ABC TV Gardening Australia.